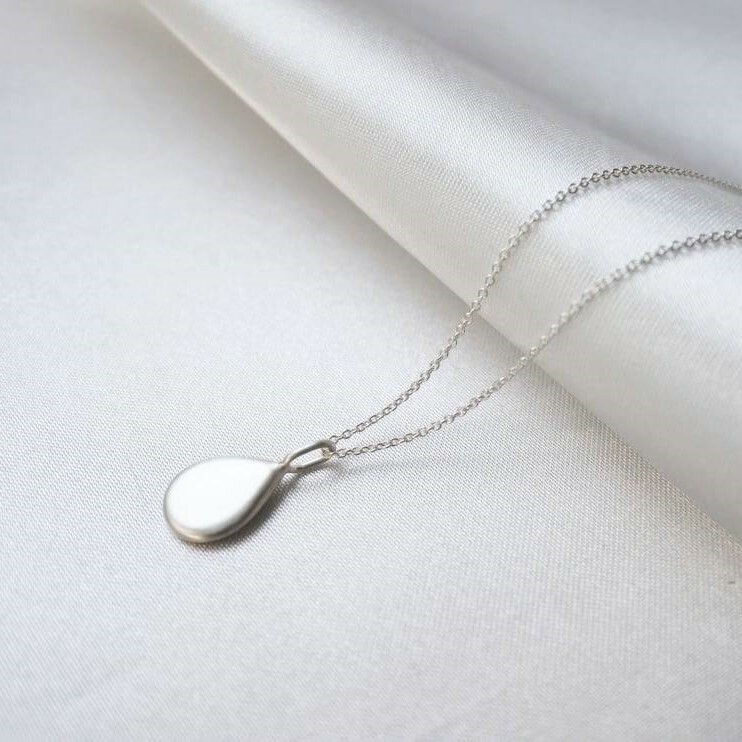 This necklace is made in 925 sterling silver. The chain is 1mm thin & 45cm long. The Pendant is ca 17x9mm.